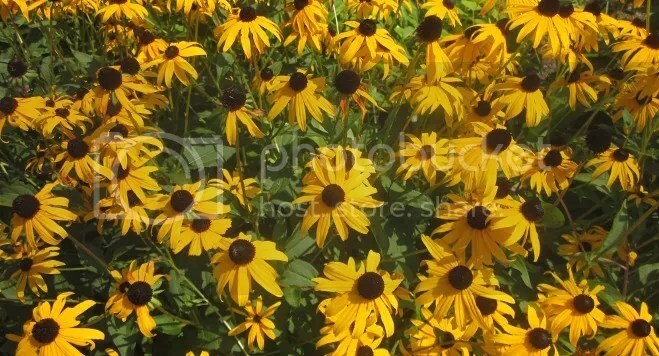 Our house is surrounded by beautiful flowers and landscaping. The landlord does a lot of it, and hires other people to do the rest, but regardless of who is taking care of it all, we have been enjoying it tremendously. There’s a little bench out back where Dan and I like to sit in the evenings and talk while we watch Lydia wander around on the brick pathways. There’s a tiny wooden bridge that Lydia (and Dan and I) use to cross through the pine trees to reach a sidewalk leading to a nearby playground. There are tomato and pepper plants growing healthily all around the house and our landlord generously shares their fruit with us. But my favorite part of it all is the flowers. Every week there are new flowers blooming, some that I know and love, some that I’ve never seen before. I will probably never have another opportunity to live in a place so surrounded by beautiful flowers. When Lydia and I go for walks, though, Lydia runs ahead, passing all of the pretty flowers. She turns the corner where brick changes to sidewalk and makes her way beyond the begonias. She is, of course, headed to the playground. If you try to stop her she’ll object by either saying “Slide?” or “SWING!” . And yet, despite her excitement, she often stops at the woodchips. 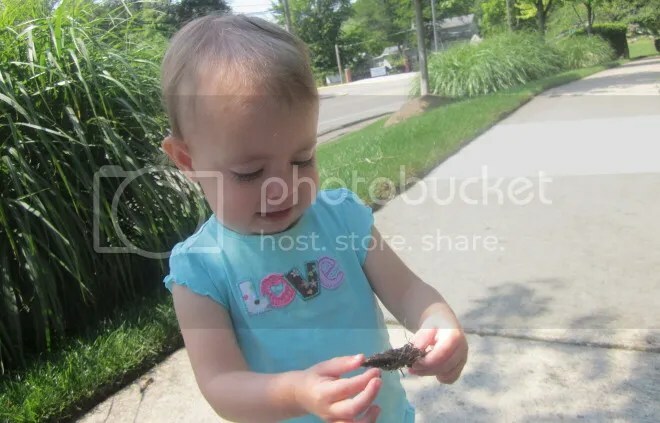 Yes, Lydia loves to play with the woodchips, or just chips, as she likes to call them. She picks them up and piles them on a big rock. She transfers them from one part of the garden to another. She throws them. She gathers them up and hands them to me. Woodchips hold her attention longer than most of her toys. Today I had my blog post all planned out but didn’t have any pictures to go along with it, when I remembered the woodchips. I’ve been thinking about perspective over the past 24 hours, and the woodchips fit my thoughts perfectly. You see, I see the pretty flowers and wonder how Lydia can just ignore them to go pick up woodchips. 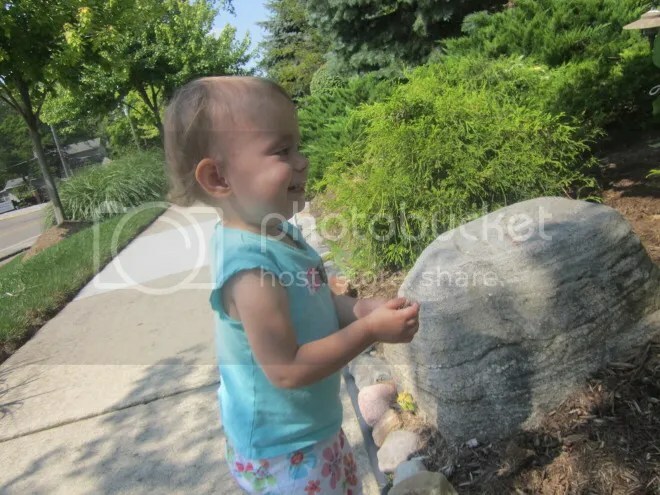 She, in her sweet little mind, probably thinks I’m slow and silly not to share her excitement over the woodchips. We have different perspectives. Woodchip: Our previous condo had mold and made us sick. The analogy can go a little deeper. Maybe I am willing to put up with the woodchips because they happen to come along with the flowers, but the woodchips help the flowers grow. In God’s eyes, every woodchip has a purpose and He, like Lydia, can see beauty even in the woodchips. Yesterday at church we heard a sermon from Acts Chapter 22. The chapter starts off with the Apostle Paul sharing his testimony of how God brought him from being an active persecutor of Christians, to becoming a Christian himself. At the end of his testimony the crowd is so angry that they want to kill him. Just before receiving a flogging, however, Paul brings up his Roman citizenship, which, in the current situation made the flogging illegal. And so, the chapter ends with Paul narrowly escaping the torture and released to be questioned further the next day. The very last point of the sermon was that God is in control, even when our lives look chaotic. And, yes, our pastor used the exact word from my Friday post: Chaos. Others could look at Paul’s life and see a lot of chaos, but now when we read the whole story in the Bible, we see God clearly leading and working through each “chaotic” event. What an encouraging reminder to me! Others may look on at our crazy summer of moving and moving and not unpacking and moving some more and think it’s a bit chaotic. I certainly do! However, Dan and I have been carefully and prayerfully making each decision. That we had to move much more than we had expected doesn’t mean God led us wrong, and it doesn’t even mean that we failed to follow correctly, it simply means that God is leading in a way that looks chaotic to us right now. God is laying down woodchips so that He can grow flowers. 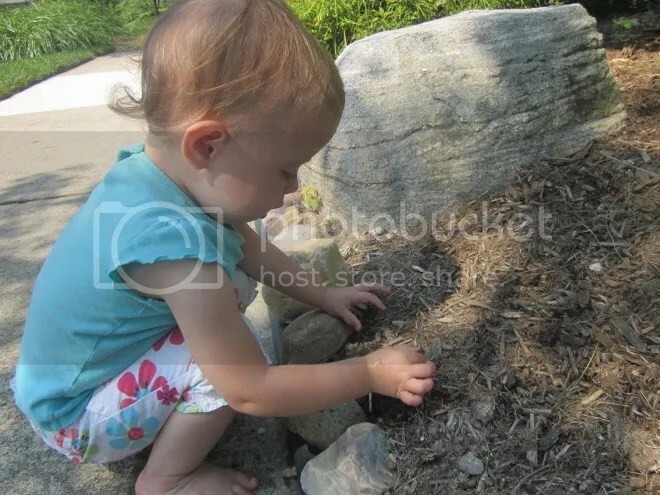 This entry was posted in Lessons and tagged Apostle Paul, Bible, Flower, Perspective, Trust, Woodchips by justeeni. Bookmark the permalink. Oh, Justine…this is beautiful. I hope you are keeping all of these, perhaps someday to put them in book form…each one is so meaningful. My prayer is always to try to see things (and people) through God’s eyes…. (don’t always succeed)….and you have captured that same idea so beautifully. Thank you so much for adding a special note to my day. Love you.